I still own (and use) my DX7IIFD that I bought in 1989, but it rarely leaves my home studio, which is probably why it still works as good as new. 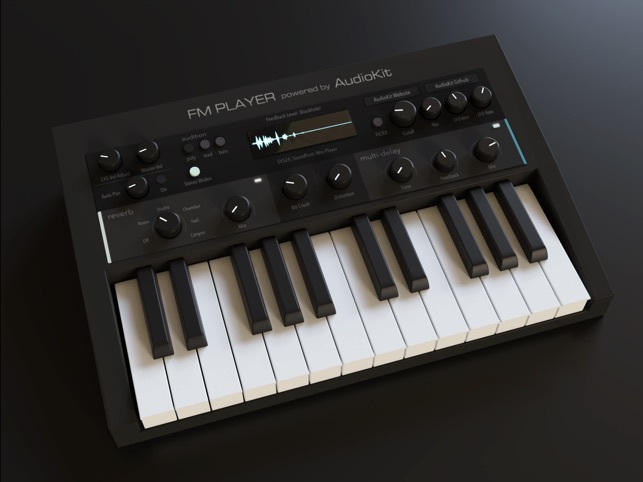 So, if I want to incorporate that unique FM synthesis at a gig or on the road, I’m left with virtual instrument options. There’s two approaches for virtual FM - modeling or sampling (or a hybrid of both). I’ve got a number of satisfactory modeling options on my computer rig that I enjoy and use frequently, but none of them gives me the same exact ‘vibe’ of my hardware, and I’ve never been happy with sampled DX sounds because, even though many are very accurate, they always feel static or sterile to me. 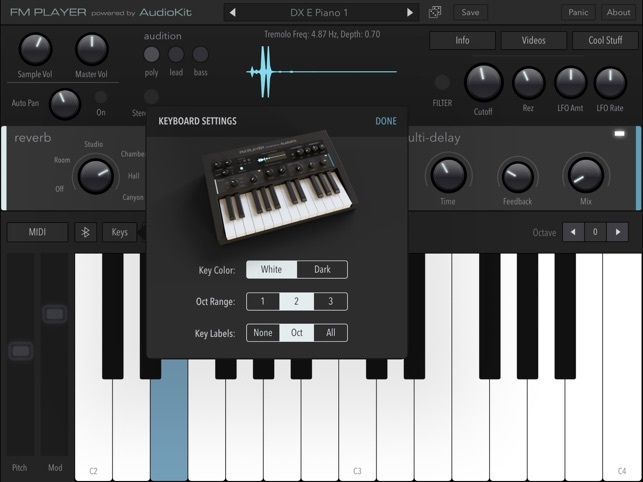 Furthermore, I’ve never been happy with any of the DX instruments for iOS. 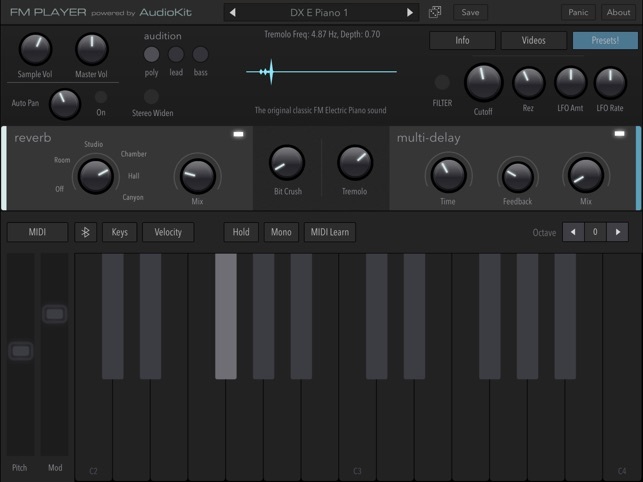 This app sounds fantastic and really captures the character of the DX7 without sounding or feeling like a sampler. And it is really fun and inspiring to play. I will absolutely be using it in my live gigs. 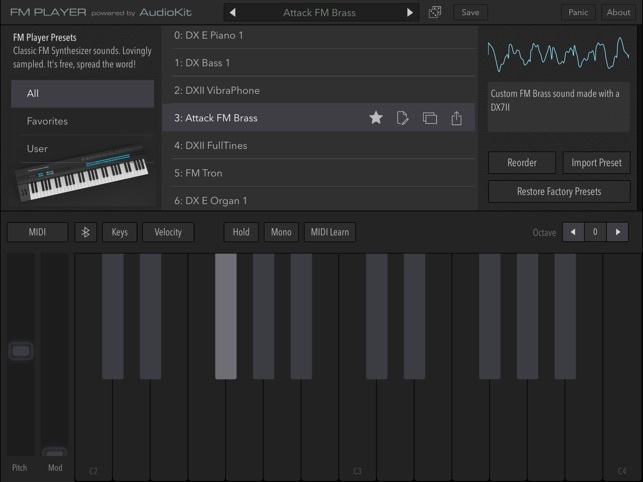 My thanks and admiration to the developers and the AudioKit team for providing a free synth that sounds rich and professional, and is useful right out of the box. I also love that it much easier to pack up, carry, set up, and tear down than my good old DX7 beast! Well done! I just got the latest edition of Electronic Musician. The first thing I read is the iOS monthly review of the latest apps. I went looking for another synth based on the magazine’s recommendation, and found this one instead. I have many expensive, paid apps that can either play sample based DX sounds, or create FM synthesis the old fashioned way with virtual operators. Some are 4 op, others are 6+, depending on how many virtual algorithms they are based on. You wouldn’t think that your open source freeware ROMpler would come close to any of those apps, however, I’m stating that these are the best 6 operator samples I have heard in iOS yet! Keep up the awesome work! I’ve been using iOS in live performance for years and have been waiting for this app! i just wanted to leave some constructive criticism for the devs. for a free app this is great! however 400+mb is a really big download. i use a full featured FM synth app that is under 4mb, so less than 1% the size and it lets you synthesize, save patches, load DX7 sysex, etc. obviously a rompler needs to save all the sounds, but perhaps FM isnt the best form? mellotron, string machines, etc, would lend themselves to more of a rompler format. i also find subjectively that the low pass filter is very poor and unmusical, but that may just be because i am unaccustomed to hearing complex FM sounds through an analog style filter. this is unmistakably a great gift and a promising platform, so i certainly look forward to your future apps! please just keep them as trim as possible so i can make room for them on my device! You're in luck! 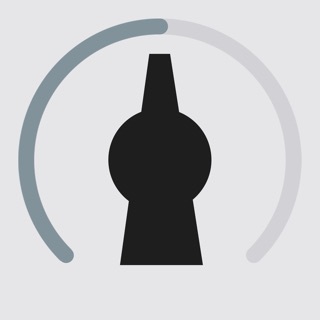 We're developing a new lossless compression for FM Player 2. It will ship with 1 GB of sounds that will use only 200mb! More sounds, and less device storage! With full, amazing sound quality! Plus, if you (or anyone reading) wants to send us a mellotron or string machine, we'll happily sample it (hello@audiokitpro.com). We're all volunteers. 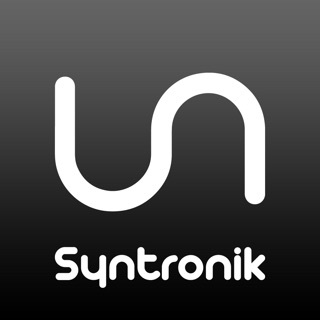 You could volunteer a synth for us to sample and contribute. There are over 100 people so far who have contributed to the project (code, testing, sounds). You could join us!